A new Washington, D.C.- based initiative, Peacebuilding Connections, channels positive energy and resources toward opening dialogue between Israelis and Palestinians via the arts. The group advocates through cross-cultural interactions that peace can be obtained between people in all regions of the world. 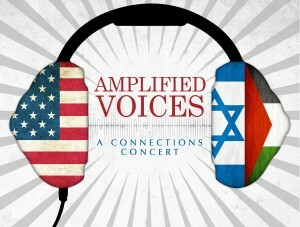 On Sunday, November 10, an eclectic group of musicians will present “Amplified Voices,” a concert at Georgetown University, offering common artistic ground between Israelis and Palestinians. Believing that “music is indeed the universal language,” artists across a wide musical spectrum will perform. The group of performers include the legendary Peter Yarrow, one of the singers of the folk group Peter, Paul and Mary, who still offers his voice and time to causes of peace. Three groups of young performers will also be on hand, including Heartbeat, Jerusalem Youth Chorus, and the Jaffa Voices of Peace. Though not a person of faith, Schlehuber is grounded by the principles of the Bible. Schlehuber uses the universal forum of the arts to join those who generally have beliefs at odds with one another. By using politics and culture, Schlehuber believes people’s minds will open to the shared humanity beyond art. Musical legend Yarrow has given a voice to the movement by appearing at events as well as allowing the group to use his iconic “Weave Me A Dream” in videos. Schlehuber first met Yarrow during his Peace Corps service in the Ukraine. The young man learned how Yarrow used folk music to involve children in conversation about bullying. Through the U.S. Embassy, Schlehuber received a grant to bring Yarrow to the Ukraine, and start an anti-bullying program in schools. This initial exposure got Schlehuber pondering if mixing the arts and cultures could bring about broader social change. Schlehuber is determined to foster change, one song at a time. His group, Peace Building Connections, is traveling the country to gain signatures to a “Declaration of Interdependence.” Schlehuber and filmmaker Jesse Medalia Strauss recently filmed Sunday afternoon Mall walkers signing the petition in Washington D.C.
Other performers of note at the November concert include:Virtuoso Farah Siraj, who has performed at the United Nations, Nobel Prize Hall, and the World Economic Forum. Originally from Afghanistan, Humayun Khan and his family fled to the U.S. after the Soviet invasion in 1980. Khan performs Indian classical music, and is noted for his integration of the sitar style into the voice. Bethany & Rufus, an American cello and voice duo, use their unique harmonies to explore all kinds of American music, from rock to folk. Raised in Israel, Spain and England, Israeli musical superstar David Broza, fuses guitar, percussion and vocals for a rock sound. Published October 4, 2013 at The Broad Side. Please comment there.